I have (okay, it’s self-diagnosed) Seasonal Affective Disorder, and every end-August I start to get upset that the days are clearly getting shorter and that afternoons of I-can’t-bear-it heat are quickly fading. Is it sad to say that one of the saving graces for me of the fall/winter season, besides Christmas, indoor dinner parties and cozy nights inside, is that cooler weather outfits are just generally a little bit more fun to put together? Here are a few looks from last year, captured as the weather was turning; I am posting these an attempt to get myself to be a bit less pessimistic, and if you’re anything like me- I hope it does the same for you! Just like you, I have this irrational fear of summer ending soon too! I am so conscious of the sun setting a little earlier, and the sun rising later than me. Fall outfits are amazing, but I notice myself, as the days get colder, I get lazier to put together a cute outfit. I end up just throwing a huge sweater and a chunky scarf with some skinny jeans, and boots. You make fall look super chic! Thanks for the lovely inspiration! beautiful outfit!! 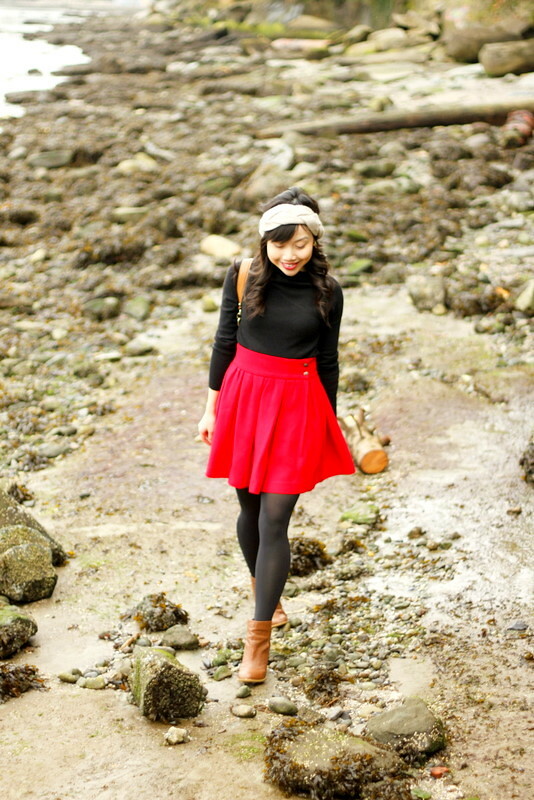 loved the red skirt! 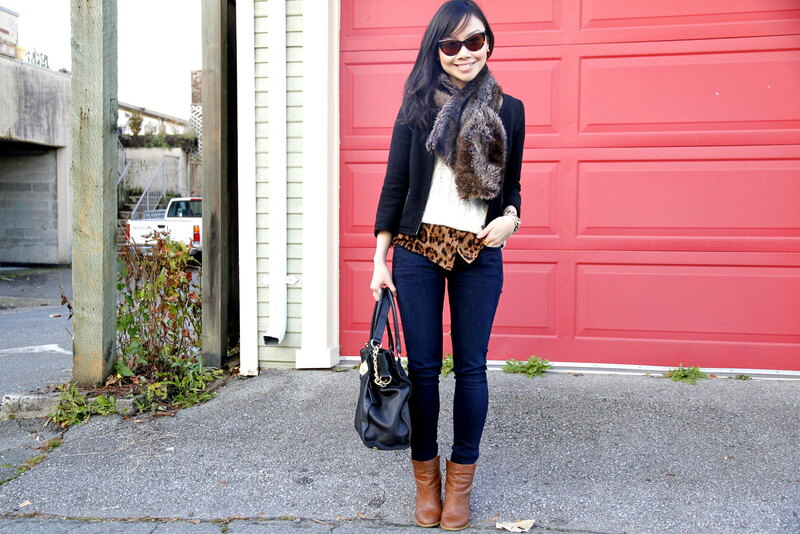 GREAT POST..I TOTALLY REMEMBER THE LEOPARD AND PLAID TREND..LOVED IT! I’d like fall more if it actually got chilly here before the end of October. It is a dressing dilemma. I want to wear fall clothes, but it is too warm still, but it feels ridiculous to be wearing summer clothes at the end of September and into October. I know this does not sound like a terrible problem, but it drives me crazy every year. Fall fashion is the absolute BEST. Love all of these looks, can’t wait to see what you come up with this year! Your collection of fit and flare/umbrella skirts is enviable! I can’t and I mean can’t wait for fall!! I am hating the same outfits every day which consists of shorts or dresses lol. I want to wear boots and coats!!! Great styling girlfriend. You are very cute!! Mad SAD is also self-diagnosed. I also think I had the cold more and more each year. in loooove with those outfits!!! winter is fun to dress-up in because of the layers of clothing, however, i agree that the lack of sun really makes me depressed too! This did help me! I didn’t want hot summer days to come, so I can’t say that I’m sad to see them leave, but it’s been shocking how quick the weather cooled off! I still had quite a few hot day outfits I wanted to wear. But oh well, I’ll get over it because I love cooler weather looks so much better! Love yours – definitely an inspiration. I feel exactly the same way you do about summer ending and about Fall fashion. Love your previous season’s styling! I feel the same about the imminent start of Fall. I can’t stand to see the days get shorter but you’re right, Fall outfits really are more fun to put together because of all the layering possibilities. It’s nice to see a compilation of what you wore last Autumn, can’t wait to see what you put together this year! Your last autumn looks are so easy and chic! love them all!! Oh I weep for the end of summer too! Lovely photos, as always! Where’s the blue lace top from? You have great style and a lovely blog. Keep it up!